The perfect couples escape! 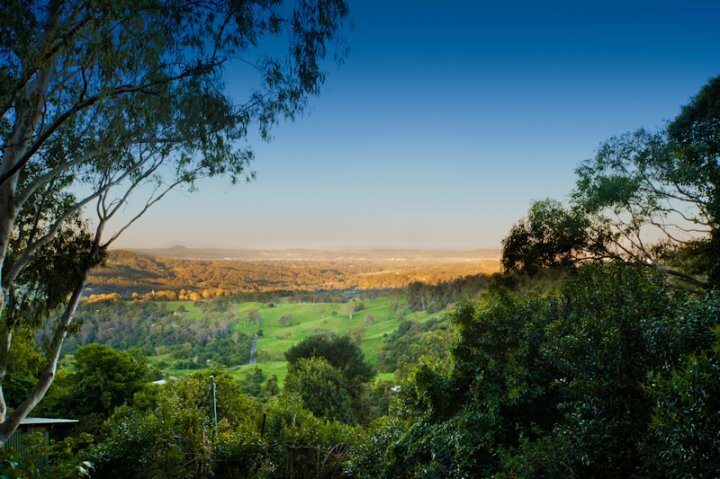 Situated 200m from Magical Montville Village, Treetops Seaview Montville is just a short stroll to Restaurants, Art Galleries, Boutiques and more. 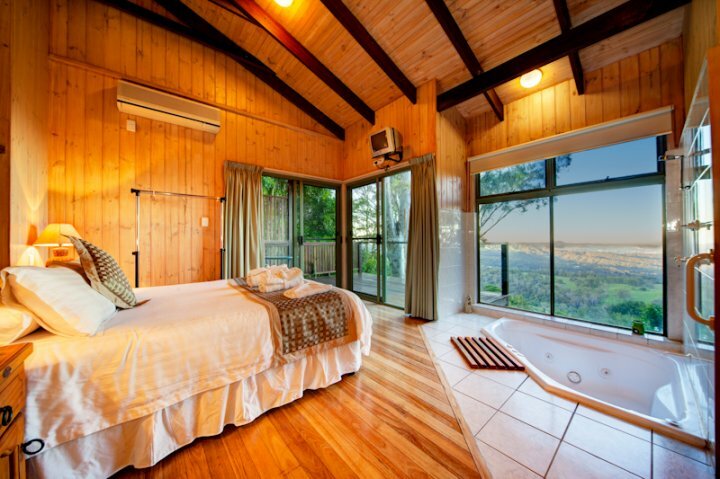 Relax on the deck of your private Treehouse nestled on the escarpment and take in the fantastic hinterland and coastal views. 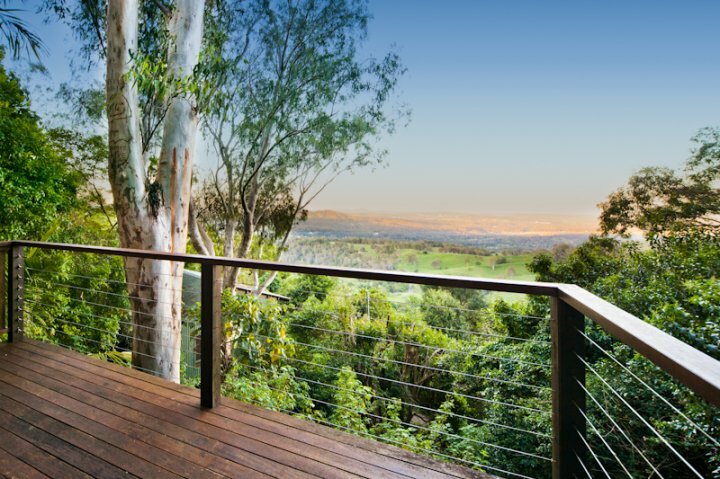 No other view is like it in Montville. 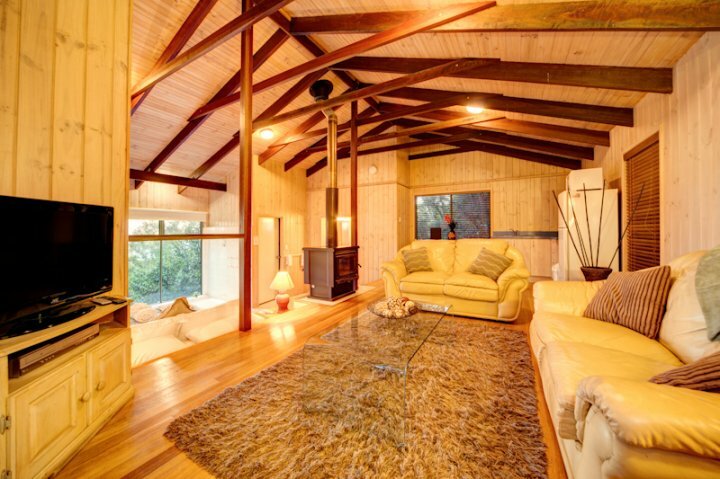 Unwind in your two person spa, or relax in front of the two way fireplace. 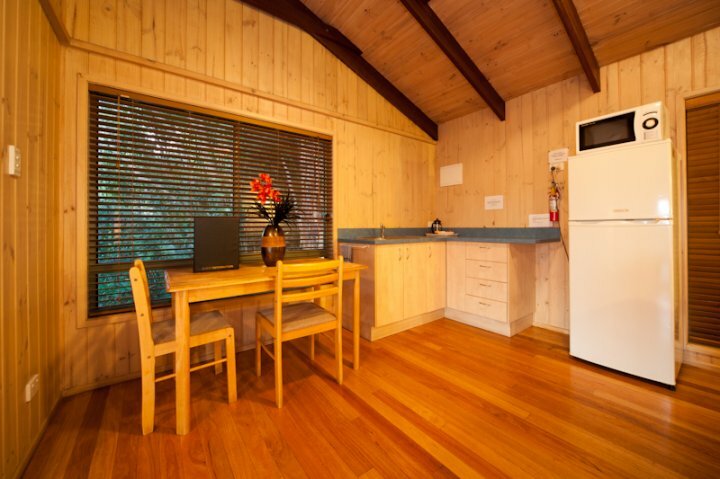 Each Treehouse is fully airconditioned and also has a kitchen and dvd player. Upon arrival guests are presented with a breakfast hamper and a fruit platter. Further hampers are delivered daily for the duration of your stay. 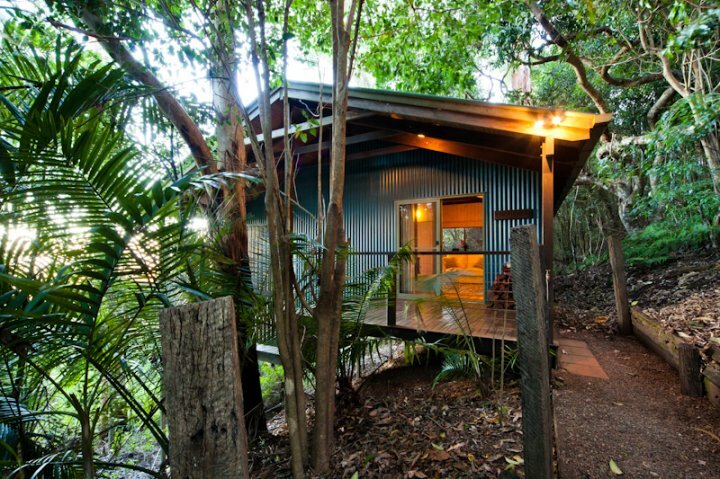 You have just found the PERFECT ESCAPE! 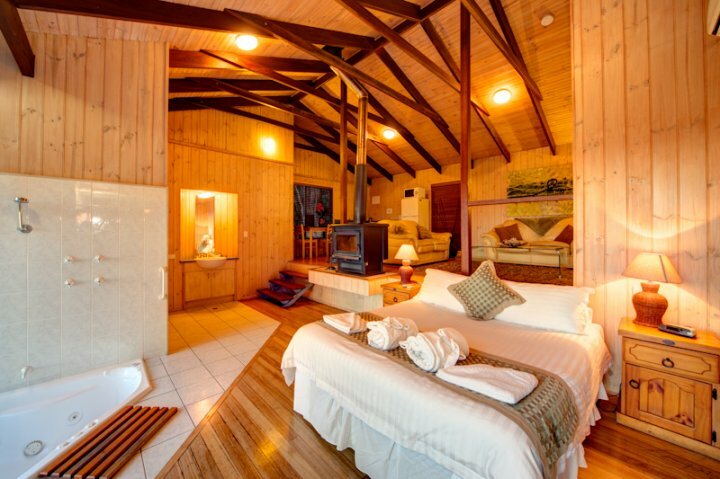 Breathtaking views, Spa, Fireplace & Aircon - JUST PERFECT! Breakfast hampers included daily. Short stroll to Montville Village. Check In is from 2pm - 5pm. When you arrive in Montville please call in at reception to collect keys. Reception is located at 'Top of the Town' Shop 3 130 Main St, Montville. Please notify us if you will be arriving after 5pm so we can explain our after hour procedures.